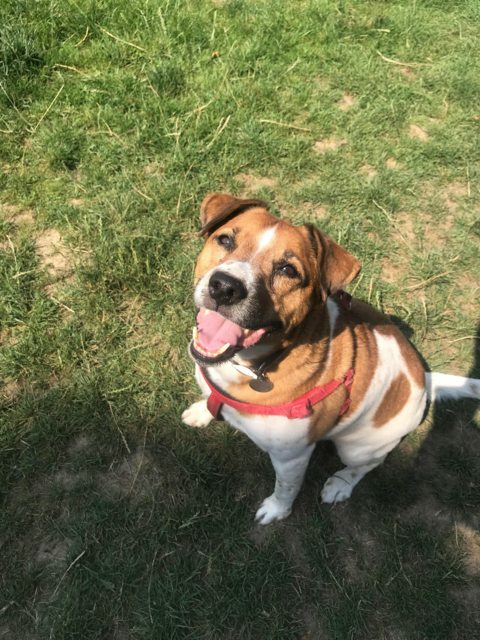 Max is a 9 year old male Cross-Breed. Little Max is very sadly looking for his furever home due to his dad was taken into a hospice. Max is 9 years old and has been neutered, vaccinated and microchipped. Max is very sad and confused at being in kennels. He has mixed well with other dogs here but we feel he would prefer to be the only dog in the home or with a calm female. He loves to play with his toys and would ideal for a semi retired / retired person who has time to spend with him. Due to his dads illness he hasn’t been walked for some time and needs to shed a few pounds. We are told he is house trained. We have no history about Max with children therefore are looking for a home without children. Max is currently receiving treatment for an ear infection. Max still has so much love to give and would love to find another person to love him as much his former dad did. If you can offer Max a place in your heart and your home – please email for a form.